Ileane at Basic Blog Tips gave us the heads up about coverage of a Yahoo! Research / Cornell University Twitter Study on the Lexington Examiner. Of the 32 bloggers mentioned, the first 12 above are among our closest collaborators. What makes these special is that they are part of the DoFollow CommentLuv community. The last two are blogging communities many of us frequent. That is not what I would call the “intermediary” Twitter users at all! The researchers seem to have missed the importance of these up-and-coming influencers who will eventually be among what they called the “elite” Twitter users themselves. In contrast, “ordinary” Twitter users are primarily or exclusively passive consumers of tweets. They do not actively RT or interact much themselves except maybe to some close friends or family. The researchers also do not seem to realize why bloggers’ content is different than what the other three groups they studied share on Twitter (celebrities, media and organizations). Maybe they should have asked Donna. Her conclusions – which include some excellent Twitter Strategies to be implemented – are what my British snooker playing friends would call “spot on”. I encourage everyone to read what she had to say about What Gets Retweeted. check out our Twitter Best Practices. collaborators in our Small Business Advice post about BizSugar. Thanks for this great information; I will share this with my friends. I totally agree with your perspective. I agree, much like most of the advertising you do on blogs isn’t consumed by other bloggers but by general readers. Also one point of clarification is that I am still a DoFollow blog, but I don’t use CommentLuv on my blog anymore. I don’t dislike the plugin, I am just still experimenting with Livefyre and enjoying it at the moment. I just don’t want to be branded a CommentLuv blog when I haven’t been for about 45+ days now. (Keep the DoFollow though). I know you are testing Livefyre and I also know that their community and CommentLuv will become more and more separate over time. When I wrote this post you were part of the DoFollow CommentLuv community. I will be updating all my lists after a few weeks to give the new CommentLuv Premium users a chance to sort out how they’re going to configure them and will edit you off any references to CommentLuv at that time. I’m curious Justin what you’ve been liking about Livefyre? I don’t know much about it other than my personal opinion is that I don’t want to have to sign up for something to leave a comment – I would think that plugin would discourage comments (both good and bad). That’s fine. I encourage discussions of all kinds and Justin did open the door to discussing Livefyre. I personally would never allow a third party commenting system to take over my comments in my blog and I especially dislike Livefyre because their system censored links related to the occupy movement that I tried to share from the comments in blogs using their system. In addition, Livefyre only gives links to other Livefyre bloggers even though Livefyre bloggers are given links in CommentLuv blog. I consider that unfair and predatory behavior intentionally designed by Livefyre. Many bloggers including me almost never comment in blogs using third party commenting systems because they waste our precious time because the log-in processes often do not work so we write a comment and then can not get it to post. I will be editing all my lists after any bloggers who are upgrading to CommentLuv Premium have had time to configure for dofollow or nofollow to prioritize blogs by the choices they make. I explain those choices in the post I’ll put in CommentLuv in this reply. I am going to miss Justin; however, he has clearly stated he does not wish to be categorized as a CommentLuv blogger so I will honor his request to be removed from any list I maintain that mentions CommentLuv. Chris would love you to read ..Jambu Nomad Waterproof Boots or Super Cozy Slippers? I wouldn’t have known your blogs were DoFollow because the odds of my finding any comments left by people who already had five comments aren’t very good unless you already have a strong commenting community where many already have dofollow comments visible in your posts. You’ve reminded me that I am going to have to note those kinds of details when I update my lists. There isn’t any easy way to know of to tell which blogs go dofollow after how many comments without the blogger telling me. I added you to my Twitter CommentLuv list and I do cross-reference the various lists when I’m updating to remind myself who else I need to add. You might leave a comment in any of my CommentLuv Premium posts just to make sure I remember to add you. Even though their research was not that succesful, it is still pretty cool that the top 10 list consists of a group of bloggers who collaborate together. i agree.it’s a cool list of bloggers…its like a big family what helps each other,. This is just broken down unnecessarily. There is a natural distribution that exists in the spread of any trend or idea. The relative power of the individuals involved in the spread are roughly the same regardless of the medium. I say just learn the basic concepts and forget about finding new labels for everything underneath the umbrella. Sounds like the responsiveness of Twittering has continued to satisfy the traffic generated because the quality correspondences are pulling their weight. Experiences throughout the last few decades of technological boons indicate that as the introductions of a productions excellence and craftsmanship stabilize, they can shape the waves of trends into cushions of continuity. Twitter has done just that. Keeps them coming back for more. Bravo. I would be curious to see what results would be produced were researchers to examine a larger group of Twitter users.Did you write it? Am I missing it somewhere? Every page of your blog is so helpful and I just know that article is (or will be) awesome, too. No, neither I nor the reporter whose article I talk about in this post were involved in doing this research or writing the conclusions of the study. There is a link to the entire report in this post so you can read it for yourself. Eventually Twitter may do that just as it took them a very long time to integrate Twitter search and lists. Right now that data is available from other tools such as Klout, PostRank, and Peer Index. Really interesting article, but I can’t help but agree with what Donna herself mentions about the study. It seems that, because such a small sample of Twitter users were examined in the research study, the results are, more likely than not, not accurate. I would be curious to see what results would be produced were researchers to examine a larger group of Twitter users. The question is, accurate for what? Honestly, most statistics can be used to support many sides of every argument so those who believe they are the be-all and end-all for making decisions are often led down the garden path. We do not really have enough detail to know precisely how they selected these specific bloggers (and it has been some time since I read the full report); however, I know from personal experience that those singled out DO have influence online – both on Twitter and on their own readers. We know that because of the large number of people who RT their content, comment in their blogs, and ACT on what they recommend. For example, when Ileane recommended our GrowMap anti-spambot plugin in her blog there was a large jump in downloads that day that continued that week. Her readers ACTED on her recommendation – that means she is influential with them. The study did look a a large number of Twitter users and compared them to those they called elite users. They just did not select a large number of bloggers. Should someone want to do a follow-up study I have a large list of Twitter users who have 10,000+ followers they are welcome to have. One detail I would love to see research on is the difference in influence between those who follow most who follow them and those who have thousands of followers but only follow a very small percentage back. Where are these Twitter accounts listed in the Cornell University report? I can’t see them anywhere.  Blogs5: BoingBoing, FamousBloggers, problogger, mashable. It’s funny that in the world of tweeting, there are also what we call ‘elite and regular’ tweeter users. I guess it’s just normal to have degrees or levels even in social media. For me, this hierarchy shows that Tweeter is a respected site where somebody or everybody gets recognition. Twitter is a great tool which I don’t use at all. I never took the time to get to learn it better but this post really makes wanna try harder! Excellent psot that really opened my eyes on some themes. Was never much of a twitter fan but recent updates have me leaning more towards twitter these days. I just read about how to manage different accounts and since then I’ve spent some time experimenting twitter all over again. Hootsuite was a mind boggling discovery for me, the tweetimonials is also something new I learned and now after reading this post it looks like my second journey with twitter is going to be result oriented. I still can’t get my pea-brain around the “intermediate” label for tweeps and bloggers. Where are these labels generated from? And every time I leave a comment here it bumps it up into the middle of the mix. Don’t know what’s wrong. I didn’t reply to anyone in that last one so it should have gone at the end. I just wanted to let you know that I’ve been reading and reading your blog and I can’t believe what a difference you’ve made in my business in just one week. I’m planning to do a blog post about it – and profusely thank you in public – so I’ll leave all that for later. The reason I’m commenting right now is because somewhere on your blog I know I saw you make reference to using 5 blogs or 7 blogs (?) to increase your exposure. You mentioned you’d be writing the post in the future. Did you write it? Am I missing it somewhere? Every page of your blog is so helpful and I just know that article is (or will be) awesome, too. I don’t know how I missed your comments here before. Maybe there was some technical issue that was causing them to appear in the middle as your other comment mentioned? Whenever I have multiple pages of comments it can be a real challenge to find and reply to them all. I’m not sure if you saw the post you asked about or not. I did write it and it contains a Guest Blogging Five Blog Schedule five blog schedule for regular guest posting. That post is one of many on collaborating that is linked from my Blogging Collaborations and Best Practices post. Another new things learned today! Must start being active in twitter! Personally I am NOT a big fan of twitter – It seems like so many people just think they can add one tinyurl after the other, promoting some product. The elite twitters, on the other hand, understands to provide value for their followers! I’ve seen there, the names of the great bloggers I idolize! Good job! I’ll be following this research study coz I am so sure this will end with lots of learnings. Kudos! Hi, I very much appreciate this idea on the research on ‘elite Twitter users.’ Twitter has formed, of late, a very large part of our social networking activity. I have started using separate twitter accounts and also using tools like HootSuite and Buffer to manage our multiple accounts as well. This is the first time that I am getting to know the name ‘elite users’ and the concept of such users though. I find the bloggers and their blogs you have listed are all established, including of course, yours. My greetings to you bloggers who are keeping alive and vibrant the dofollow and commentluv community and also the movement! Those blogs are great opportunity to find out how it all works and how you can implement it on your own site. I’m very curious, what you need to become an elite Twitter user?. My only guess is that you need to be extremely active in the Twitter community, post messages and comment on various posts on a regular basis. Here is my opinion on this and take note because I have done my homework here. The average Twitter user uses it for close social network with friends/relatives and follows only a few accounts of interest like celebs/news stories…etc. Therefore their tweet stream updates so less frequently than a very prolific blogger who may do reciprocating follows and have 10k or 20k followers and people they are following in return. This means when a RT or article link is shared with someone who only has 20-50 people they are following, they have a much higher chance of actually seeing the retweet and clicking on the article. Since majority of Twitter users have such few followers you see patterns, where ones who share articles reach others in the same circles and mass spread occurs. With power users with tens of thousands of followers, most are following so many others that they have no choice but to use lists to filter down chatter, most don’t follow the ‘home’ feed at all and if your account isn’t on someone’s list that they actively watch then your tweet is really nothing but white noise and very unlikely to ever be found. It is far better to be followed by 1000 people with 100 followers, than by 100 people with 1000 followers, you will get far more retweets and far more lively conversations. Thank you for that insight. I agree with your conclusion that the longer a Tweet sits on someone’s Twitter home feed the more likely they are to see and act on it. The only tweets I will definitely see are the ones someone puts GrowMap or @GrowMap in or those that turn up when I am searching for something specific. When I have time (which hasn’t happened lately) I use specific lists to seek out something I can RT for someone I know. What most people need to know is this: if you want to get someone with 10s of 1000s of followers to RT something for you it needs to relevant to what they share and you have to send it to us (or at least me) by adding my username to it. The other way that works – again at least for me – is for you to connect with me using Skype or Yahoo IM. Since I am always very busy please just say hello and tell me directly what you would like me to share and why. Most bloggers don’t ask very often – not even my closest collaborators – probably not as often as really they should. And I don’t ask them very often. I would gladly share anything Justin or Ileane or Kristi or Michelle or many others felt was important to them once a day. We do feed each other’s new posts but there is more we can do. We really need a much better solution for how to share among a small group that we can filter. If anyone has one (or wants to create one) let me know? That’s a great observation Justin about the ratio of followers -it is a lot like the saying that it is better to have 100 targeted visitors vs 10000 random visitors. Or in another way – I’d much rather have 100 buyers than 10000 lookers. I came across your page on StumbleUpon and liked some of the things you’ve liked. I read your note posted at the top of your page and would love to have you like my website and content on stumbleupon. I’m following you on SU and Twitter. I know Each Social Network is best for specific activities, but twitter has made some limitation so that’s why i hate it! Twitter was a great idea at first, but nowadays i think it is not sufficient for today needs! Twitter is very useful for certain things – like connecting with someone quickly – even people who are very busy and hard to reach via phone or email. It is also an efficient way to share information with key collaborators and drive traffic to specific links. If 140 characters isn’t enough, just use Twitter to invite others to meet you somewhere else for a discussion or to comment in a specific place. Twitter is essential. It is how bloggers communicate with each other, for example, when your commenting function and contact form aren’t working we can let you know on Twitter. Many times blogs aren’t working but the blogger has no Twitter and no way to reach them so we can’t let them know. If you are serious about being online, being active on Twitter is the fast, easy way to be found. If you aren’t there you are missing out on communications and opportunities. Y’know, I never really thought about what got RT of mine; I was too happy that somebody thought something of mine was worth the RT! But after reading this, I went back through my list, and everything that had been RT’ed was a mention (with link) of a blog post –none of which I’d written– that I thought was so good/interesting/relevant to my niche that I had to share just by virtue of wanting to share something good with friends. Bloggers are in a unique position of being able to collectively create a better world by collaborating and influencing our readers. 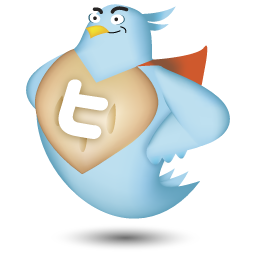 Many bloggers will RT any post you tweeted of theirs so that is one good way to get more RTs. Ideally, though, you want to create relationships with other bloggers in your niche – and bloggers need to be thinking about what geo-targeted niche will position them where the money is. Watch for an upcoming post on why you want to identify and collaborate with four of the best bloggers interested in what you are. It looks like i need to rethink my twitter strategy. I have bookmarked as i’ll need to return to re-read one or twice. Good research. Pay special attention to the two strategies on the Twitter Best Practices post that have *** Collaborators do these *** on them. I hope you subscribed because I will be publishing a post about how five blogs in your niche can greatly increase your readers and influence. Watch for that soon. It was a joint venture of Yahoo and Twitter or these two companies are thinking to be unite? Why is Yahoo so interested in Twitter? What few realize is that all of these major multi-national corporations are connected in more ways than we know. They are either part of what I call “The Borg” or they’re not. G, Yahoo, Twitter, Facebook, Microsoft, Bing and many others are all controlled by the same elite few. Consider whatever you do on one to be known to the others if they choose to look. For those who have trouble believing that, read the post that I will put in CommentLuv. What you share in what you THINK is a private email between you and someone else can end up in your profile on a site owned by a totally different corporation. I think there are three groups of people in twitter. One, the content providers which provide the RTable tweets. These twitter users add quality to the twitter stream. Second are the influencers, the ones that bring good tweets to limelight. Their job is to give exposure to the best of the content providers. Their category is of the consumers. These guys consume the information which is shared on twitter. The percentage of people of the first two categories is very low and they are responsible for most of tweets shared in twittersphere. I believe they used a combination of how many Twitter lists “elite” Twitter users were on and how often what they shared got RTed to create their lists of “elite” users. The reason so many bloggers we collaborate with are on the list is that we share with each other what works and support each others’ efforts. This is excellent work that’s really helpful. Thanks so much! Thank you so much for the kind mention in your article. And to think – I found your link in a Tweet! @Kyle from Finally Fast – I think if you spend sometime reading that research report you might be able to find some answers. I’ll be the first to admit I know nothing about algorithms and the math involved, but it seemed to me that they covered all the bases. Don’t take my word for it though. Like I said, no head for analytics here. I just found the the idea of a predictable flow of Tweets to be intriguing. You can probably tell from this post how our little DoFollow CommentLuv community is different from traditional sites and blogs or article marketing. We are link-happy and spend much more time spreading the best of everything than we do focusing on our own goals. This blog and most of our collaborator’s blogs has threaded comments turned on so that you can reply directly to anyone’s comments and have your reply appear under their original comment. That is a standard option available in current versions of WordPress. If you would like more insight into why these twelve bloggers ended up being singled out and why our tweets live longer and are shared more often check out the link to my Twitter Best Practices post and pay special attention to the two strategies that are flagged with asterisks and marked for collaborators. If you’re interested in collaborating feel free to connect with me using any of the methods listed on the contact tab. I’m so glad I popped over for a visit today, this post is spot-on! Thank you for including the reference to snooker. I had no idea that’s where the expression came from. I’m going to dig into the information and see what I can learn and implement. I am not using twitter to it’s maximum potential. I’m thinking that maybe instead of just “knowing” the “coolest people online” you might want to collaborate with us? While the research seems to have been carried out fairly objectively/scientifically, I have to think that even when working with several elite users the ability to measure a tweet’s “consumption” is limited to retweets and links within tweets. Those users that simply read a tweet that has been retweeted or otherwise take no action within twitter on that Tweet can’t accurately be counted as consumed, unless simply following a user and receiving that tweet is considered baseline consumption, which I think would be fairly inaccurate, as I myself probably miss 50% of the tweets in my timeline on a weekly basis. I don’t know that this necessarily impacts Donna’s insights from the study. I think there is a lot to be said about evaluating your tweets and comparing them to the tweets you yourself act on. I think that is probably the best way to improve your own tweeting and garner a more active following, but I think in the end any study on Twitter that intends to identify a “Twitter Elite” and categorize users based on consumption & generation will be flawed from the start based on an inability to *really* track consumption. I prefer Friendfeed to twitter! I used StumbleUpon for years and then switched to FriendFeed until they sold out. Since then Twitter has been my primary hang-out although I still do reviews on StumbleUpon and pop into Facebook and FriendFeed when I can make the time. Each Social Network is best for some activities and less ideal for others. I have visited all of these blogger’s sites that you have mentioned in this post. Great research on Twitter Elite . These are only some the bloggers I interact with regularly. You can find many more in other posts here including the one about BizSugar on Small Business Advice. I would also like to say: great research. I’m checking the blogger’s sites that you mentioned in this post as well as the Small Business Advice. Those lists of bloggers are an excellent place to start. You will also want to understand how KeywordLuv works and see the blogs in the post I’ll feature in CommentLuv in this reply. Even those who do not have a blog can use CommentLuv. Read my post about How CommentLuv Grows Businesses and Blogs for details. You are doing MANY things right. Besides the criterion this study used, what I believe sets bloggers like you and Ileane and Justin and the others apart is your willingness to assist others and the honesty that shines through in everything you do.